Oh!! Why is that benevolent guy congratulating the happy little girl by pouring flour over them?!?!?! 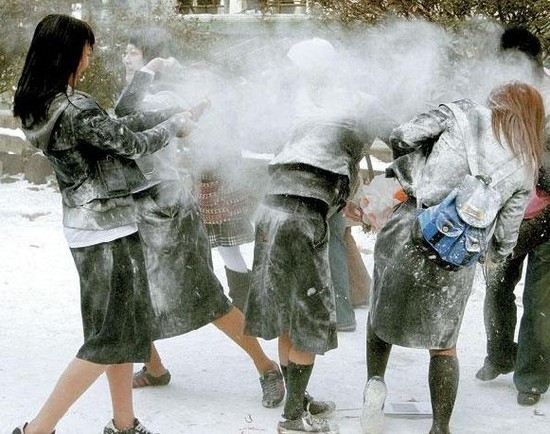 To pour flour over people. Yeah. That's what you picture when you hear the word "congratulating". 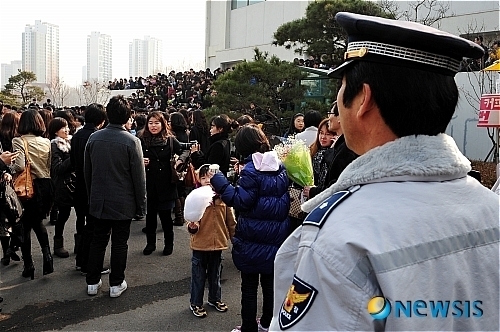 At least it's true in Korea when it's the day of your high school or middle school graduation! 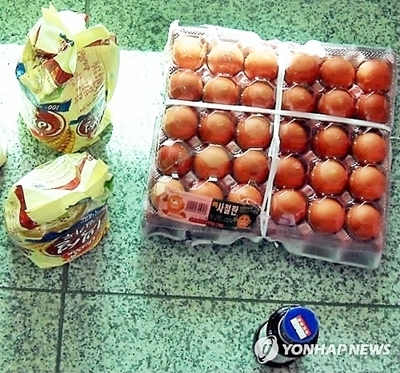 eggs and flour and.. oh, where's milk? 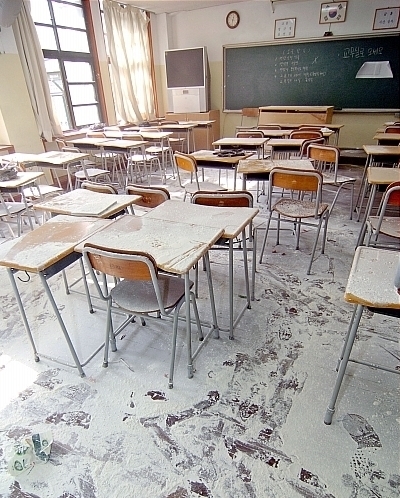 This is what classrooms look like after graduation. Okay, let me clarify some things. it's like that in Korea. Except, you throw (gently!!!) eggs and flour at each other. but it's actually really fun, and I loved it. Oh, the remnants isn't enough? Don't worry. 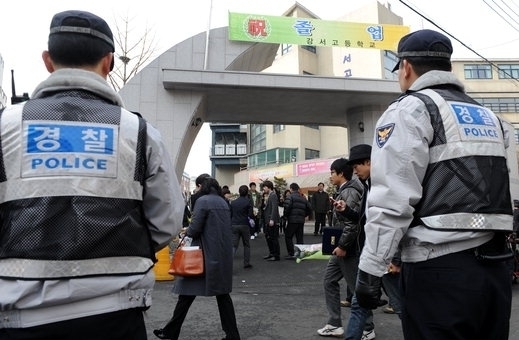 There are polices watching out for any big trouble, haha. Nobody's getting hurt this day. electronics to a few lucky people. 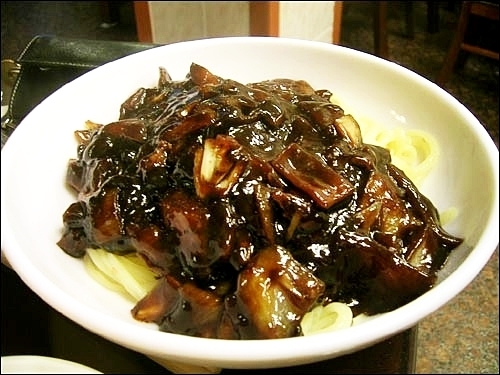 Then, they go get some Jjajangmyun, which is a kind of an unwritten Korean tradition. well off as we are now, so jjajangmyun was expensive and was considered "special"
when it's one of the least expensive food available. 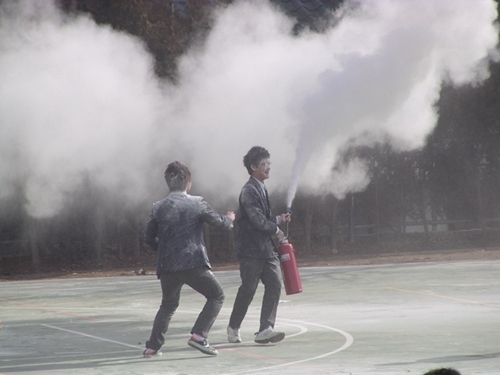 What's the best senior prank you've seen/heard of? ?